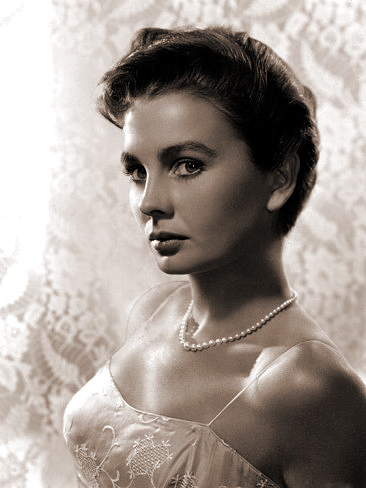 Jean simmons wears a pearl necklace and a lacy top. I was rather in love with Jean Simmons. Those cheekbones! Such a classic 1940s look. I’m therefore very sad to say that we’ve lost another of our acting greats from the ‘golden age’ of British acting. You’ll know Miss Simmons from Hamlet, Guys and Dolls, Great Expectations and Black Narcissus – as well as her marriages to actor Stewart Granger and director Richard Brooks. Read more at the Jean Simmons biography.